Vintage Image Flower Girls – Charming! This is an adorable Vintage image of some charming Flower Girls!! Featured here is the loveliest picture of 10 pretty little Girls, all carrying pink Bouquets. 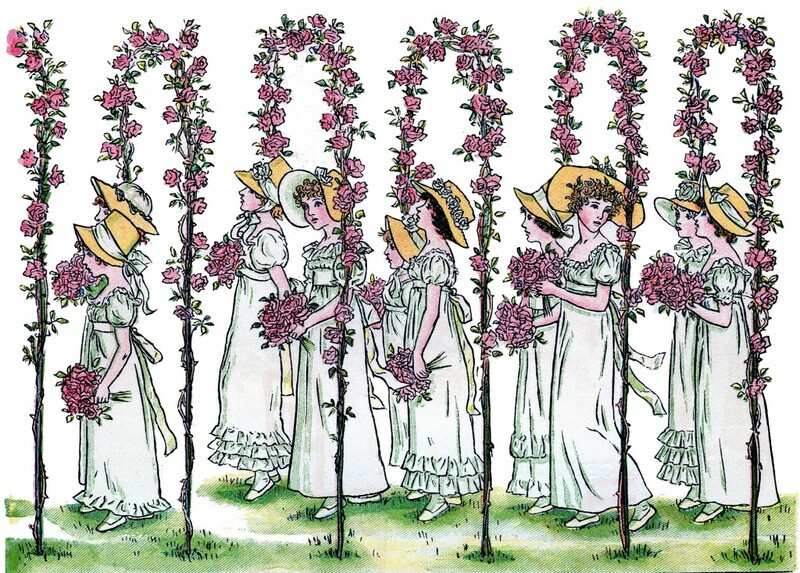 The Girls are walking under a series of pink Roses Garlands. Such a pretty picture! This illustration was done by one of my favorite Artists, Kate Greenaway. Nice for your Handmade Cards or Scrapbook pages! You might also like another adorable illustration by the same artist, you can find that one HERE.